Each of these flutes features a stem with half of a heart so when placed together they become one - a true symbol of your wedding day union! 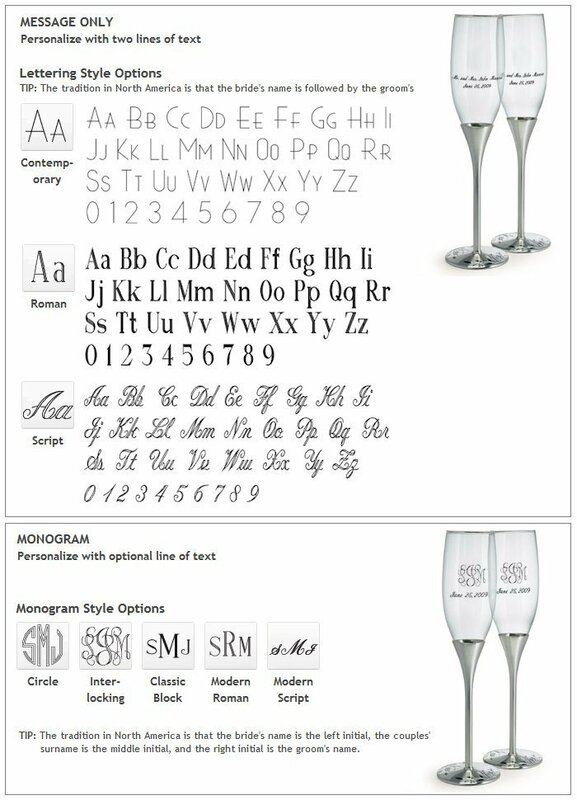 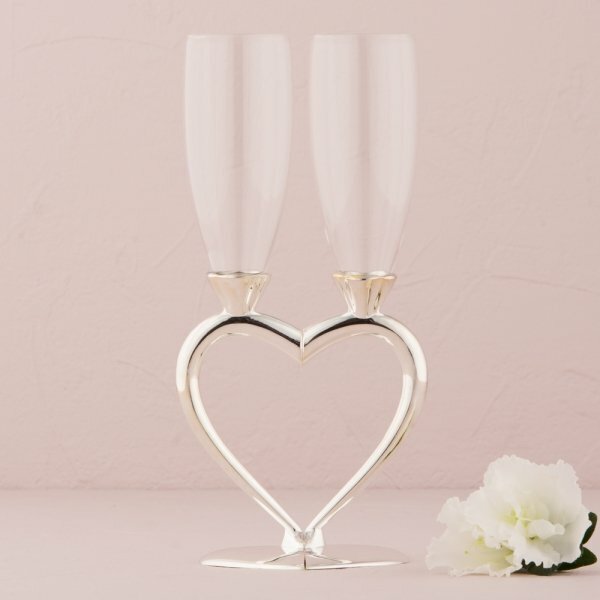 These unique toasting wedding flutes have silver plated stems that are meant to stand alone or stand side by side (as shown) to create a beautiful decoration. 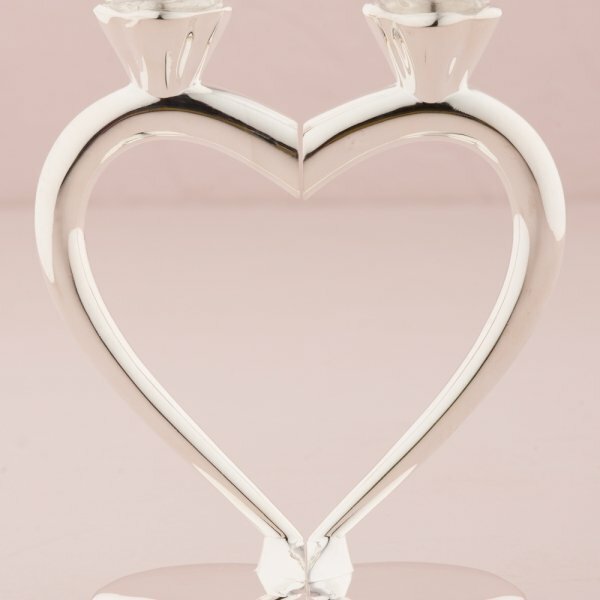 Celebrate your happy union with a romantic touch! 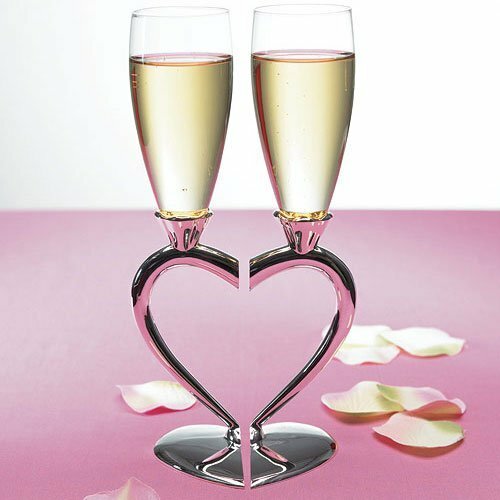 The set of flutes stands 10 1/4" tall, each flute holds up to 6 ounces of your favorite toasting beverage.